Roofs, a traffic bollard, a bottle, me. This poem, taken from Hughes’ Birthday Letters (a collection of poems all written about and addressed to his wife Sylvia Plath) is a kaleidoscopic, emotion-heavy snapshot of the couple in Paris, where they apparently went as part of their honeymoon in 1956. When reading this poem, I think it is vital to remember that it is very much coloured by hindsight, and that it was only published in 1998 (35 years after Plath committed suicide in 1963). 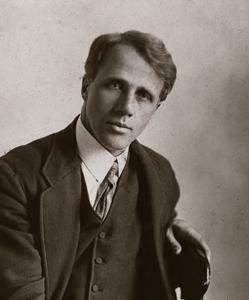 Many have accused Hughes in his Birthday Letters of being over-critical and cruel about his (probably manic-depressive) poet wife; he has even been labelled by some as misogynistic – of objectifying Plath. I do not take this view, however, admirer though I am of Plath and her work. In any case, I dislike any discourse that tries to take sides in the much-publicised, complicated relationship of this literary couple, and consider it a pretty fruitless activity for readers or critics to squabble over who was the real victim in their story – all that he said, she said nonsense. Hughes admits from the outset that this is only a portrait from his own perspective; the “I thought” saves him from sounding too tyrannical, indeed throughout this piece (and throughout the entire collection for that matter) I feel Hughes is showing us how elusive Plath (or any human being) is – how hard it is for him to pin her down. So, he thought her Paris was “American”. The opening statement introduces the notion of difference – here cultural, educational difference, but also a difference in attitude – that is developed as the poem goes on. Plath steps out, in a “shatter of exclamations” of the “Hotel des Deux Continents”. The name of the hotel of course accentuates the feeling of estrangement – these two people are as different and distanced from each other as two continents. They are also each as heavily laden with history as two continents. Plath in Paris is portrayed as ecstatically (perhaps manically?) enthralled with everything, even to the point of violence (the “shatter of exclamations”, her ecstasies “ricochet[ing]/ off the walls”) and very much wrapped up in the bohemian Paris of the interwar years – the Paris of the American ex-pat writers that Hughes lists (“Hemingway, Fitzgerald, Henry Miller…” etc.) She seems to very purposefully ignore the recent plight of Paris during the Second World War and the Occupation, from which in 1956 the city would still have been recovering. Is she afraid of something? Hughes is certainly afraid of ‘bursting her bubble’, as it were, for he states quite plainly “I kept my Paris from you”. The impression I import here is that Hughes was rather walking on eggshells around the explosive Plath – afraid to upset her. But what was Hughes’ own Paris like? It was “only just not German”, he says. Hughes depicts himself as having been keenly aware of the recent war and all that had gone on in Paris – the reality of it was too present for him to ignore and feel nostalgic for the interwar jazz age. For Hughes, this was the city of “Occupation and old nightmare”, and the bullet scars in the Quai stonework gave him an “eerie familiar feeling”. I wonder whether Hughes (with the dye of hindsight inevitably colouring his memory) is relating to the suffering of Paris here – to the idea of Occupation. 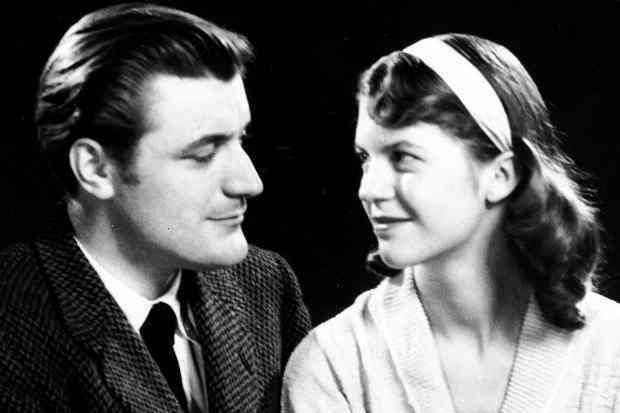 Perhaps he feels a connection to this city since the ghost of Plath has ‘occupied’ him – possessed him even – as is evident from this collection of more than eighty poems addressed to her over thirty years after her death. Hughes is not interested in Plath’s Paris: “I was not much ravished by the view of the roofs./ My Paris was a post-war utility survivor,/ The stink of fear still hanging in the wardrobes.” He is full of “the Camps”, “the Maquis” and the “Mass grave of Verdun”, but for Plath (he remembers) all that was just “the anecdotal aesthetic touch/ On Picasso’s portrait/ Of Apollinaire”. It is made clear that Plath is hiding from something – from her own reaction to this history of violence, and perhaps from the notion of shame too. The shame of the collaborateurs perhaps drew too keen a comparison to Plath’s own ‘occupation’ by the memory of her father and the wound of his death (his towering ghost was ever-present in her poetry, most memorably in the masterfully controlled detonation that was Daddy but was never, it would seem, entirely exorcised). This is certainly suggested by Hughes, who describes her as using her “lingo” as “an emergency burn-off/ To protect you from spontaneous combustion/ Protected you/ And your Paris.” She is hiding from the violence of recent history, hiding from her “torturer” (her father/ her illness) waiting for him to “remember his amusement”. Hughes describes her father as a “stone god” (reminding us of Plath’s poem The Colossus), which really creates a sense of their helplessness – both of them – faced with the reality which was that Plath had been picked on by fate – by the Gods – and by a mental illness that would eventually kill her. Hughes describes Plath as a “walking wound that the air/ Coming against kept in a fever, wincing/ To agonies”. The word “wincing” is extremely important here, I think. With this word, Hughes is acknowledging Plath’s suffering but he is also allowing himself to express his anger and frustration at her. A language barrier between the two poets is evoked with Plath’s “gushy burblings” having to be “decoded into a language, utterly new to me” and which he admits he interpreted with “hopelessly wrong meanings”. His fingers are “linked in [hers]” yet she is “hurtl[ing]” through a “labyrinth… scattering tears”, locked in a nightmare from which she could not wake, and “The Minotaur” (again, her father/her illness?) could not put “a blessed end/ To the torment”. This mention of a blessed end to the torment is even more devastating with the knowledge of how Plath’s suffering would eventually finish. I will finally mention the end of the poem, and this touching image of Plath calming herself down by drawing, probably in the hotel room. Hughes paints himself as a blindly loyal partner, with many references to himself as dog-like throughout the piece – “happy to protect you”, and “Like a guide dog” – he “Yawned and dozed and watched [her] calm [her]self” by drawing, “as by touch, Roofs, a traffic bollard, a bottle, me”. I think this end line is just perfect, and very clever. It is as though with hindsight Hughes feels that he was in some way ensnared by Plath – that he became her victim; the way he makes her turn on him at the end – suddenly, the unexpected “me” – is very sinister, eerily foreboding and powerful.